This is where it all started for ECCO. A subtle, easy and down-to-earth personality with a distinctively natural outlook. Anatomically-driven interpretations of sneaker-shapes that have become iconic through time and refinment – inspired by nature, Scandinavian ideals, and the art of ‘pleasant’ walking. Leather. A symbol of rock ‘n’ roll and rebellion; but simple, understated Scandinavian design and the most beautiful premium leather take you to an altogether more interesting place. The SOFT 7 collection is designed to be lightweight, soft and flexible. Soft 7 is our most stylish, contemporary range yet. 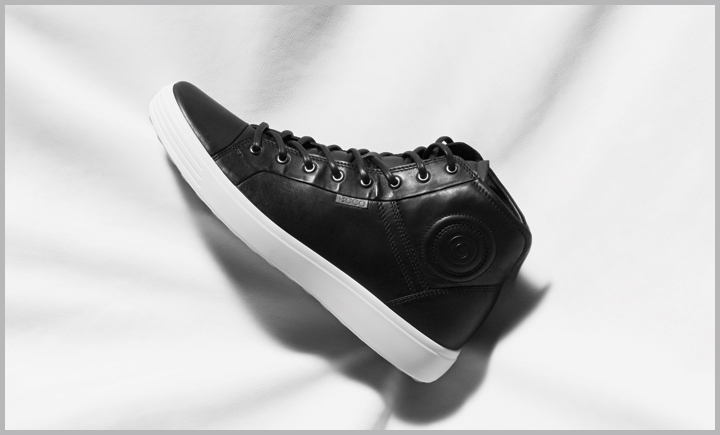 Created using our latest ECCO FLUIDFORM™ Technology and the most luxurious of leathers. Whether it’s a classic urban sneaker or a beautifully embossed backpack, you’ll be hard pressed to find leather that looks and feels this soft. 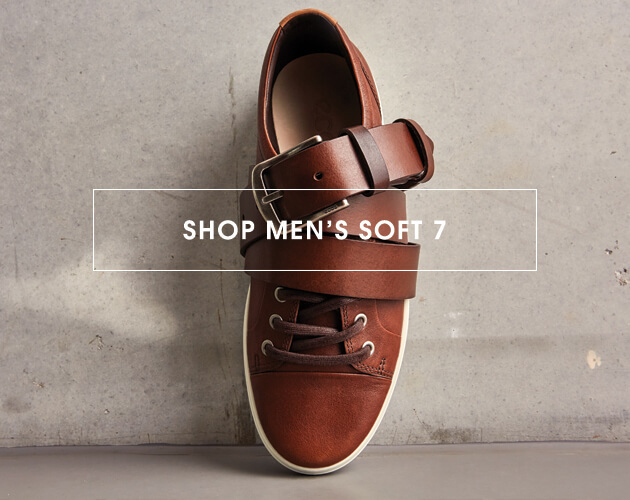 The latest in our Soft 7 Collection gives you a sense of our passion for leather that’s so soft and comfortable, it just has to be touched. 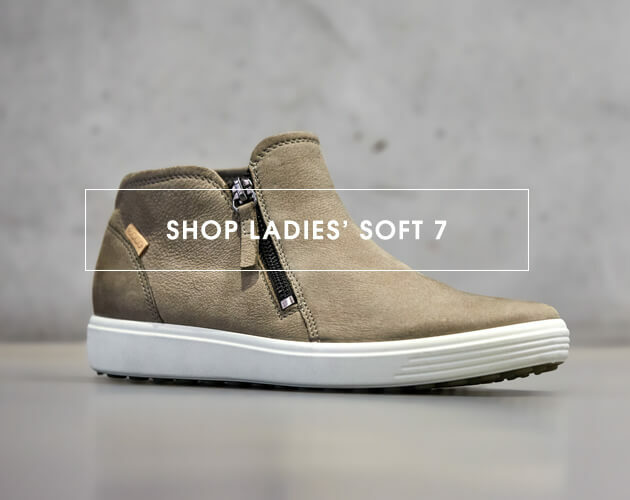 The SOFT 7 is a core product starting its days in the 80's fashion arena. 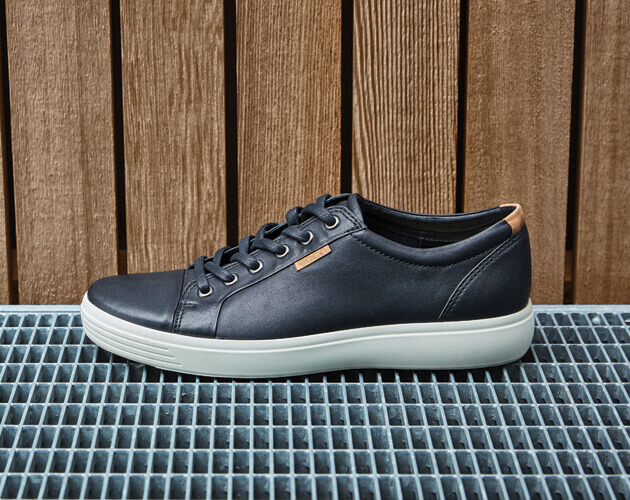 Today it is a core staple in everyone's wardrobe - sneakers have been redesigned to fit with today's fashion but what makes the ECCO Soft 7 stand out from the rest is the upgraded two component sole with a double inlay sole for extra comfort.